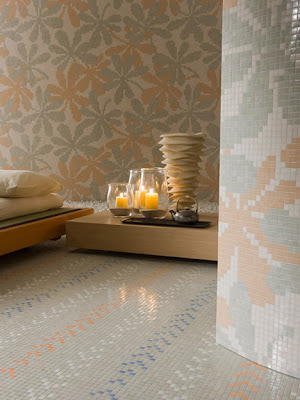 Who says mosaic tile is only for back splashes and shower floors? Not me. 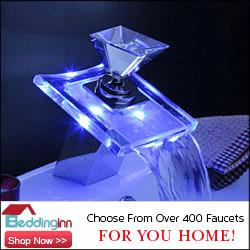 And neither do the folks at Trend USA. 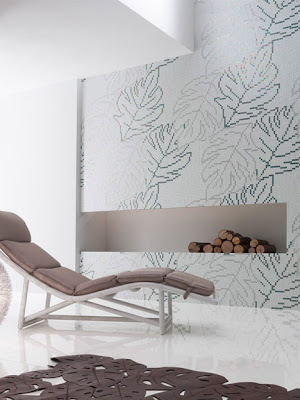 Trend has a series called wallpaper tile and within the series are four separate collections. 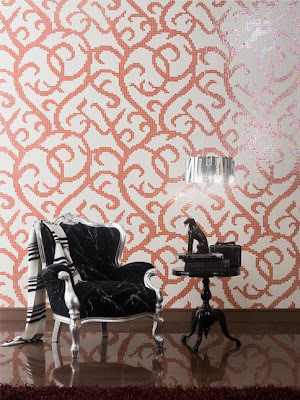 There are hundreds of variations on these themes available and any one of them would be a great idea for an accent wall. 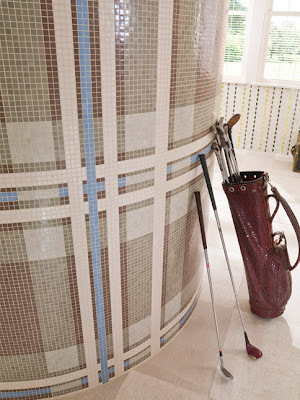 Think about it, why not a 5/8" mosaic tile in glass instead of a coordinated paint color for an accent? Wouldn't it be cool to get pattern into a room from a source where no one ever thinks to look? I say yes, emphatically. 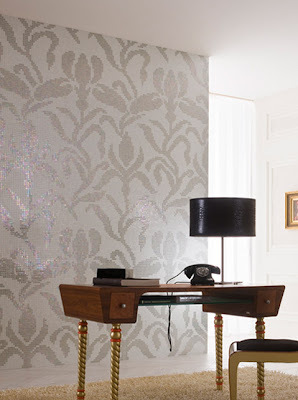 Here are some highlights from Trend USA's Wallpaper Collection. 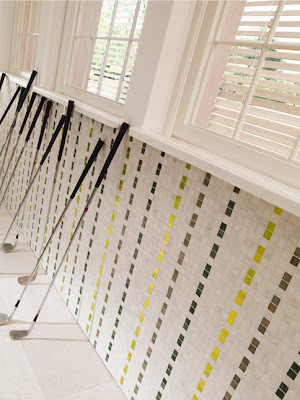 Pretty neat stuff and definitely not what most people will think of when the phrase "tile wall" gets uttered. What do you think? 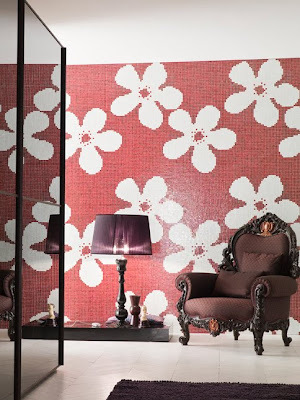 Would you ever use a geometric, floral or damask mosaic pattern in your own home? These are incredible. Do they come in a matte finish? The shiny versions are making me feel kind of cold. 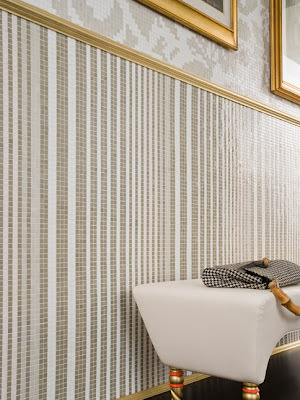 Leigh, Trend Wallpaper comes also in FEEL mosaic tile which is recycled and has a textured matte finish. 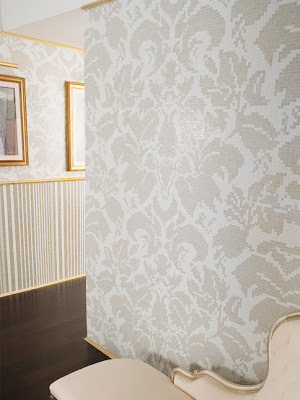 You can see the designs on the www.trendingreen.com website under Wallpaper. Thanks very much for asking! VERY cool. Thanks for your help, JoAnn!